XDC 2018 will take place in A Coruña, Galicia, Spain from Wednesday, September 26th to Friday, September 28th. 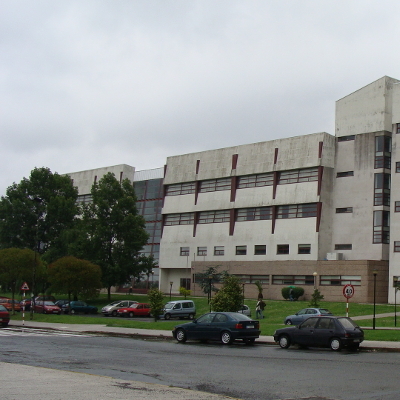 This event will be hosted in the Computer Science Faculty of University of A Coruña and is organized by GPUL (Galician Linux User Group). This is a conference with no registration cost, but a registration is requested for organizational purposes. The event involves members from all parts of the Freedesktop technologies, including those who work on Linux kernel, Mesa, DRM, X11, Wayland, frameworks, etc. There are interesting talks in the program this year. Take a look at them. Don't forget the workshops! 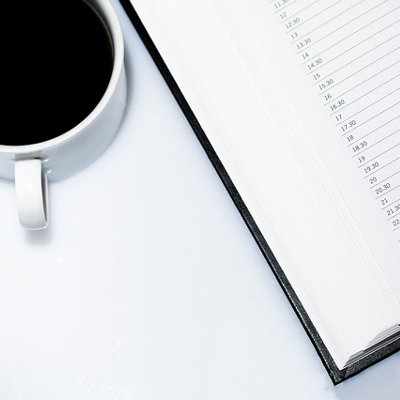 Visit the program with scheduling, breakout sessions and all the information related to the event. Call For Proposals period is over for this conference. However you can find it here. 19:30 - 23:00 Welcome Party, sponsored by Igalia. Check-in / Badge pickup. More info. Main track talks are going to happen in the Auditorium, which is at the ground floor of the venue, in front of the main entrance. 10:15 - 11:00 Keith Packard - Improving frame timing accuracy in Mesa, DRM and X (Cancelled) Lightning talks/demos. 13:15 - 14:45 Lunch. More info. 18:00 - 20:00 A Coruña Old Town Guided Walking Tour, sponsored by A Coruña's Tourism Office and Tranvías de La Coruña. More info. 20:00 - 22:00 Stand-up dinner, sponsored by Igalia. More info. 13:00 - 14:30 Lunch. More info. 09:30 - 18:30 Sightseeing activity in Santiago de Compostela. More info. One of the goals of the conference is to facilitate the discussions among the community members. We are going to have a discussion room in the venue that can be used for workshops, hacking, discussions, etc. The room will have desks, power sockets and a beamer/projector. Where: room 2.1a, second floor of the same building of the venue. Check the registered workshops and its schedule in the wiki page. 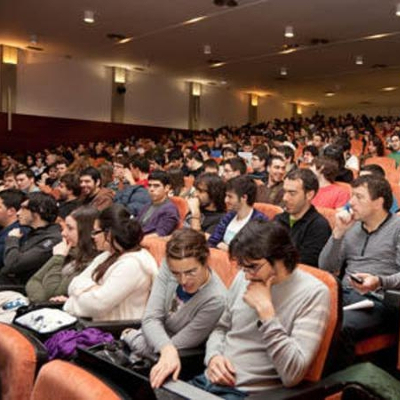 The livestream of the recording is provided by University of A Coruña. Watch it here. The recordings will be uploaded after the conference to Youtube. In order to facilitate networking and spend more time together, X.Org Foundation is sponsoring the lunch during the days of the conference to the registered attendees. The canteen is 300 meters far away from the venue, see itinerary. There will be options for vegetarians and vegans. However, if you have any kind of food allergy, dietary restriction or similar, please contact the organization as soon as possible by email or at the registration desk of the conference. Traditionally, XDC conference has a welcome party during Tuesday evening and this year we will have it too. This year, the welcome party is sponsored by Igalia. There will be beverages and food for free for registered attendees. There will be a registration desk to provide badges to the attendees. Where: Breen's Tavern, Praza de Maria Pita, 24, A Coruña. When: Tuesday 25th September. From 19:30 to 23:00. What to drink/eat: the tavern has a good offering of drinks (beer, wine, soft-drinks) and tapas. There are food for different kind of diets including vegetarian and vegan ones. If you have any food allergy or dietary restriction, please contact as soon as possible the organization by email. We are very proud of our city and we want to show it to the attendees of the conference. We have organized a 2-hours guided walking tour in the city center to discover the relevant monuments of the city. The event is sponsored by A Coruña's Tourism Office, so this activity is completely for free for registered attendees. There will be a bus waiting for us in front of the venue, to pick us to the city center to start the guided walking tour. This bus is provided by Tranvías de La Coruña, the city's public transport company, for free to registered attendees. Where: a bus will wait for us in front of the venue to take us to the city center once we finish in the afternoon. As soon as we arrive to the city center, we will start the guided walking tour. When: Wednesday 26th September. From 18:00 to 20:00. As a complement to the guided tour, we have organized a stand-up dinner with nice views of the sea after the guided walking tour. The dinner is sponsored by Igalia, so this activity is completely for free for registered attendees. Where: the dinner will be at Rectorado UDC, Rúa Maestranza, 9, A Coruña. When: Wednesday 26th September. From 20:00 to 22:00. What to drink/eat: there will be beverages (beer, wine, soft-drinks) and tapas. Traditionally, XDC conference organizes a sightseeing activity on Saturday for the attendees that stay that day. This year, the sightseeing activity will be in Santiago de Compostela. This activity is not sponsored and you need to pay it by yourself. To simplify things, the organization will buy you train tickets to go to/come from Santiago de Compostela and book a guided tour in English to walk the city center. The price is 20 EUR (lunch is not included). Where: meet at 9:30 in A Coruña's train station, Avenida del Ferrocarril, 15, A Coruña. When: Saturday 29th. From 9:30 (meeting time at A Coruña's train station), we will be taking the train that departs at 10:00 and take the train back to A Coruña at 18:00 (train trip estimation: 30 minutes). If you want to return earlier the return train ticket can be changed at the train station, or if you prefer to stay in Santiago de Compostela, contact the organization by email or talk to us in the registration desk. What to drink/eat: depending of the number of registered people, we would book a restaurant in Santiago if the number of people attending permits. Cost: 20 EUR per person. We will buy you return train tickets and book a guided tour in the city center with that money. Lunch is not included. You pay to the organization at the registration desk. Deadline to register: Thursday afternoon. The plan would be: arrive to Santiago around 11:00, 2-hours guided tour, lunch, free time until we come back. The idea would be to arrive A Coruña around 18:30. Please contact the organization by email or talk to us in the registration desk for more info. Check the list of attendees in the wiki page. Please, register yourself if you are going to attend (no registration fee). After September 8th 2018, we cannot guarantee attendance, contact us in that case. If you are attending to XDC2018 at A Coruña, Spain and you need a Visa Invitation please send us all the needed data before Monday, 23rd July to xdc2018@gpul.org with the subject "Visa Invitation Request". We will send you a scan of the signed letter via mail and if needed the original letter via post. We will sent by email the first batch of letters at the end of July. Requests received after that date are expected to be send at the beginning of September because in August the University is on holidays so we don't have guarantee that the Dean is available for signing them. So if you need the letter better being in the first batch. your interest in XDC to motivate the invitation (member of the community, attending as speaker, etc). To get to the venue from A Coruña Airport, use the Airport-City Center Bus line (Line 4051 Puerta Real - Aeropuerto.) - Stop at Bus Station (Estación de Autobuses). Santiago airport (SCQ) is connected to Madrid, Barcelona, Brussels, Dublin, Frankfurt, Istanbul, Geneva, Basel/Mulhouse, Milan/Bergamo, Paris/CDG. Driving directions to the Computer Science Faculty. There are plenty of hotels in the city center for all budgets, we recommend to stay at the city center. There are several bus lines going to the campus: line UDC (recommended option from the city center, see itinerary), line 20, line 22 and line 24. Do you want to sponsor X.Org Developer's Conference? Please read the policy for sponsors of XDC and contact the X.Org Foundation board for more details. The X.Org Foundation is dedicated to providing a harassment-free conference experience for everyone. We do not tolerate harassment of conference participants in any form. Harassment includes, but is not limited to, offensive verbal comments, sexual images in public spaces, deliberate intimidation, stalking, following, harassing photography or recording, sustained disruption of talks or other events, inappropriate physical contact, and unwelcome sexual attention. Participants asked to stop any harassing behavior are expected to comply immediately. We expect participants to follow these rules at all conference venues and conference-related social events. If a participant engages in harassing behavior, the conference organizers and/or the X.Org Foundation Board may take any action they deem appropriate, including warning the offender or expulsion from the conference. If you are being harassed, notice that someone else is being harassed, or have any other concerns, please contact a conference organizer or member of the X.Org Board immediately. This policy applies to all events organized by the X.Org Foundation, or for which the X.Org Foundation is the primary sponsor. Events for which the X.Org Foundation is a co-sponsor must have a published harassment policy of their own. Call to this phone number: +34 658 185 656. Photos by Wikipedia (1 and 2) and Pixabay with their own Creative Commons licenses.